ETA Australia to introduce event management courses in China 2019. 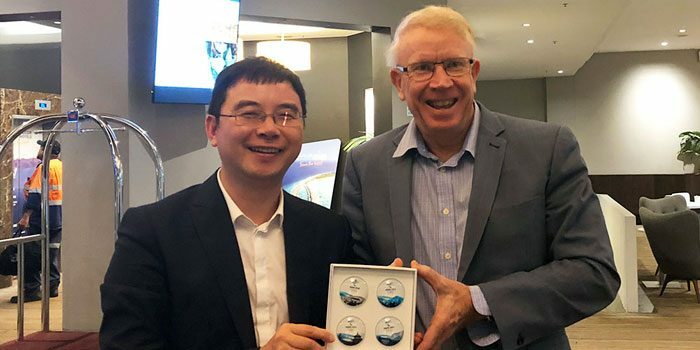 Dr Rob Harris met with Mr Jack Yao, Secretary General of the China Council for International Trade, in Sydney to discuss the development and delivery of short course event training programs in China. Additionally, Mr Yao expressed interest in adapting the text Festival and Special Event Management, co-authored by Dr Harris, for the Chinese market. At the meeting’s completion, Mr Yao presented Dr Harris with a memento of the upcoming 2022 Beijing Winter Olympic Games.